Bruno’s is kind of a hidden gem in Cleveland. It bills itself as “the best kept secret in Cleveland.” Reservations are highly recommended, since the dining room only has 10 or 11 tables. Bruno DiSiena was the executive chef at the Cleveland Browns training facility in Berea before the team moved out of town. It’s famous for its lasagna, but any pasta with red sauce is a good choice here. The food and service is good, and the portion sizes are over the top. Count on taking your meal home and eating it for several days. Located on the near West Side, the security guard outside made me a bit nervous about the area, but there is nothing to worry about. I parked on the street each time I have been here, but the business across the street allows Bruno’s patrons to park there as well. The guard ensures no one gets their cars broken into. On my most recent visit I sat on the patio in the back because the dining room was booked for a private party. I actually preferred it, because it was perfect patio weather – not too hot with a nice breeze. My server greeted me and told me the bread was in the oven. He brought me my ice tea and took my order. 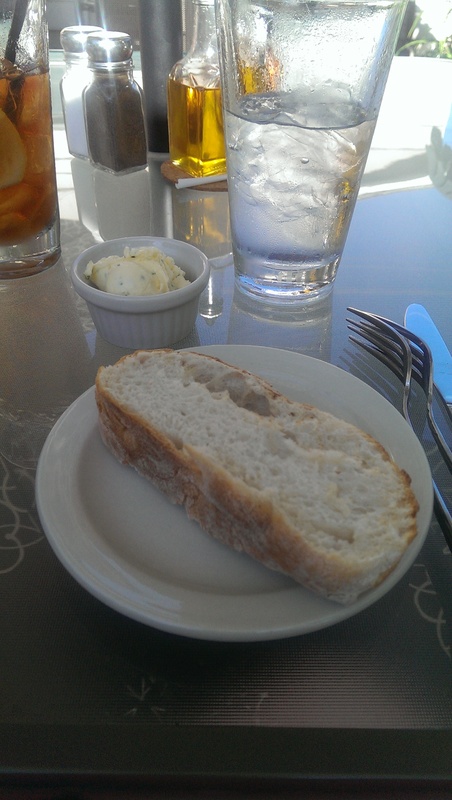 He brought out a basket of warm bread and a garlic-herb butter. The bread was delicious, and you could tell it was fresh out of the oven. My entree came with a soup or salad. 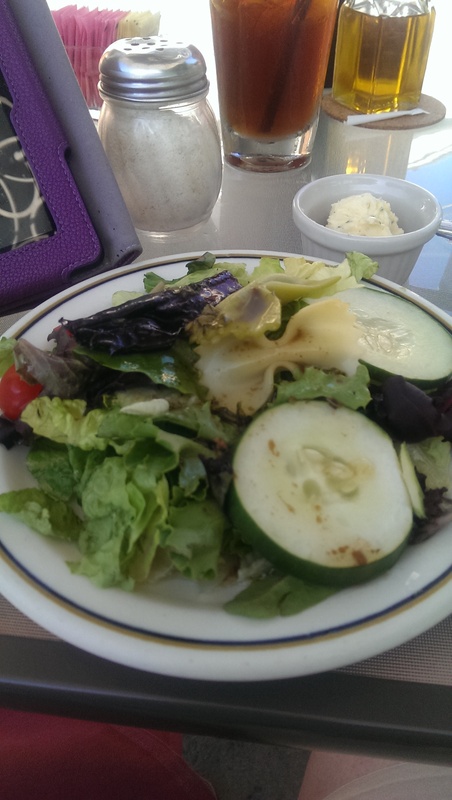 I ordered the house salad and a cup of the wedding soup extra. The salad was really well dressed and came with a little Farfalle noodle to dress up the plate and add a touch of whimsy. I liked it. The vegetables were fresh and the cucumbers were crisp. 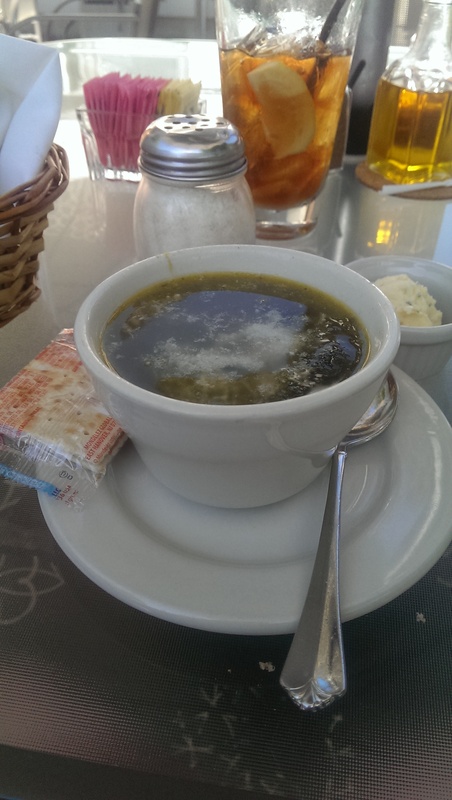 The wedding soup was delicious. Lots of fresh spinach and parmesan cheese. I also really liked the addition of the tiny pasta. I would definitely order it again. 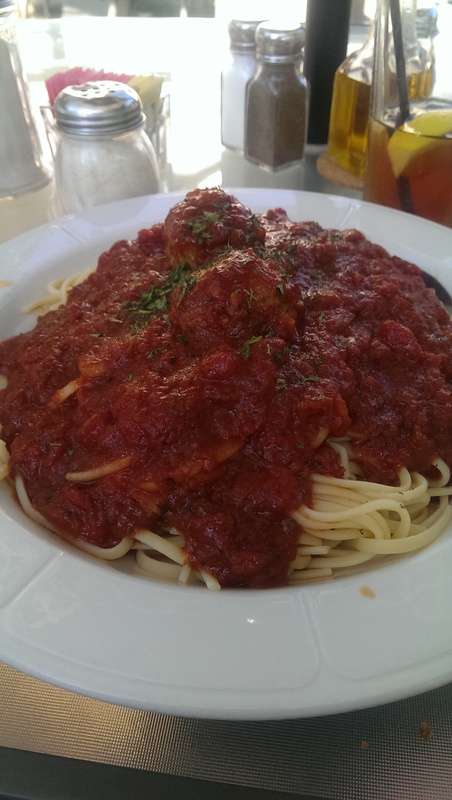 As for my entree, I should know better than order spaghetti and meatballs at an Italian restaurant. I am never happy with the meatballs. This was the case here. The meatballs were too bland and there were only two. Next time I’ll order the bolognese or mushroom sauce. The pasta itself was really good. Cooked perfectly al dente and a nice carrier for the tasty red sauce. My entree on my first visit was the Vitello Milanese Caprese. 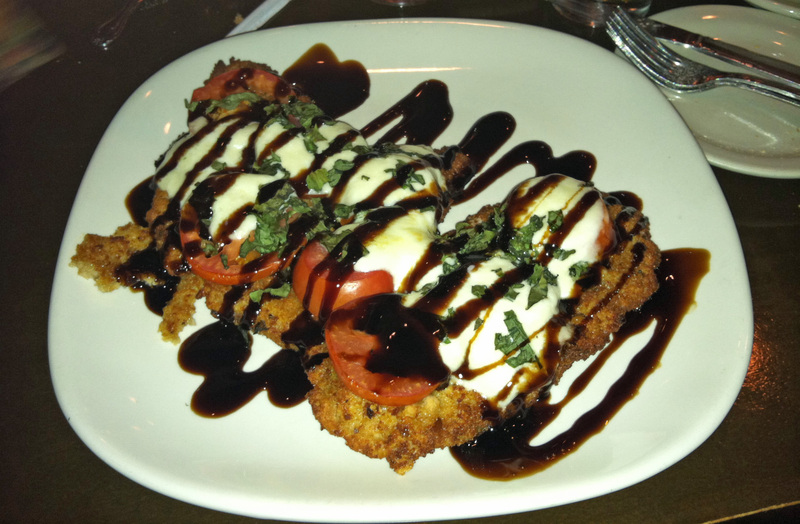 The veal cutlet was perfectly fried and topped with fresh tomatoes, mozzarella cheese and a balsamic glaze. I enjoyed every single bite – both in the restaurant and later at home. 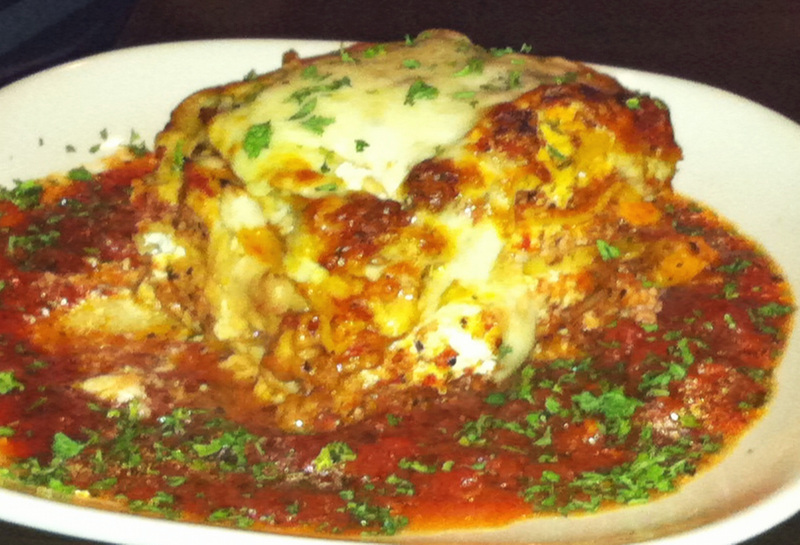 The lasagna is luscious and creamy and hits the spot. It has just the right ratio of sauce to cheese, and lasagna fans will go home with a big portion to enjoy the next day too. If you are not sure what to order you won’t go wrong ordering the lasagna here. My friends and I tend to order desserts and share them. 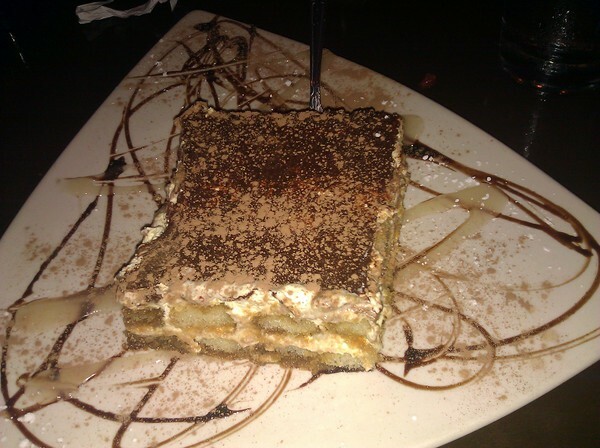 We shared the tiramisu and the dreamsicle cake (which is probably similar to the Limoncello Cake being offered now). 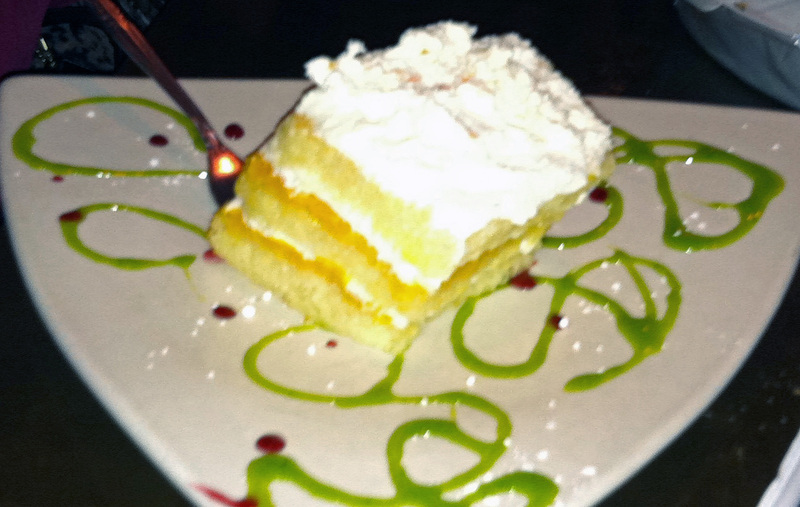 The tiramisu was delicious, but the clear winner of the evening was the dreamsicle cake. Three layers of moist pound cake with a big splash of orange filling and whipped cream – it was delicious and light with just the right amount of richness.